So I go through these really vicious phases on Pinterest and recently one of my Pinterest-athons led me to these ‘phenomenon’ of oil pulling. All the uber crafty Martha Stewart type mom bloggers say to take 1 teaspoonful and swish it around in your mouth for about 20 minutes and the oil will pull toxins from your mouth, help whiten your teeth, help with migraines, and a medley of other ailments. So it has been about a month now maybe even 2 since I have been oil pulling; still have the migraines but my teeth and mouth definitely feel more fresh and the oil appears to be keeping the chompers pretty white. Like I said you take 1 teaspoonful and swish it in your mouth for 20 minutes. If my oil is more solid because of the months cooling down I don’t do a full heaping teaspoon because I find that my mouth starts to get sore from the swishing and if the oil has liquified I tend to do a little more than a teaspoonful. Given that bit of information I am not sure why I or anyone else suggests 1 teaspoonful because chances are you will alter it to your comfort level. Like I said I still have headaches but my teeth and mouth feel better so I will more than likely keep on with the oil pulling, next I want to experiment with oil pulling with essential oils. I have a few oils (I am not yet a crazy oil fanatic) I think I might try that soon. 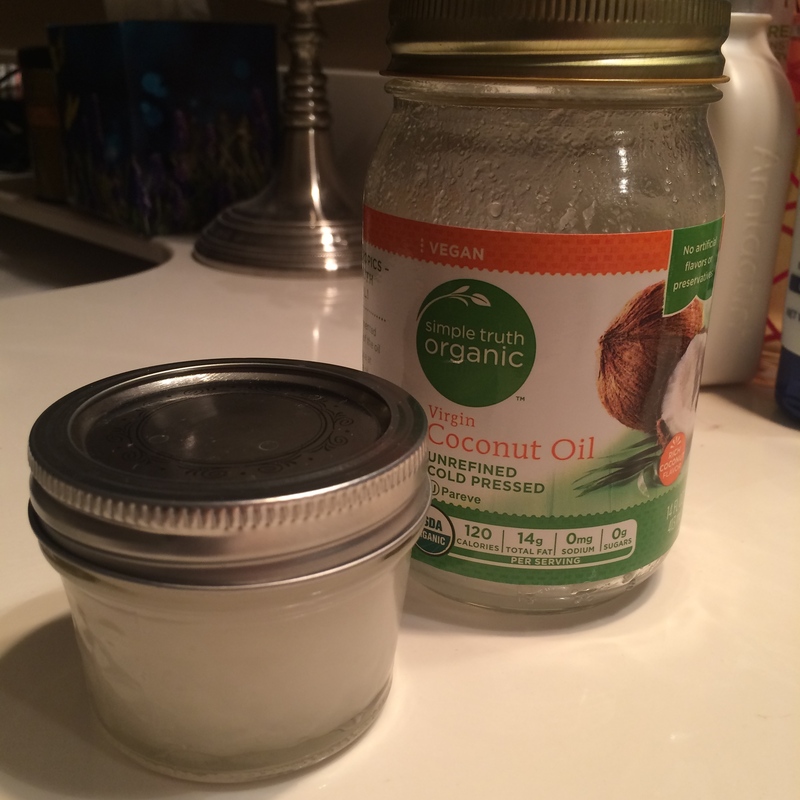 I am not sure if oil pulling is a legit practice in this time but it is oddly fun and now that I have created this habit I just keep on keeping on. On a slightly unrelated note coconut oil is also super awesome for removing eye makeup and I often use it as a mask on the dry ends of my hair. 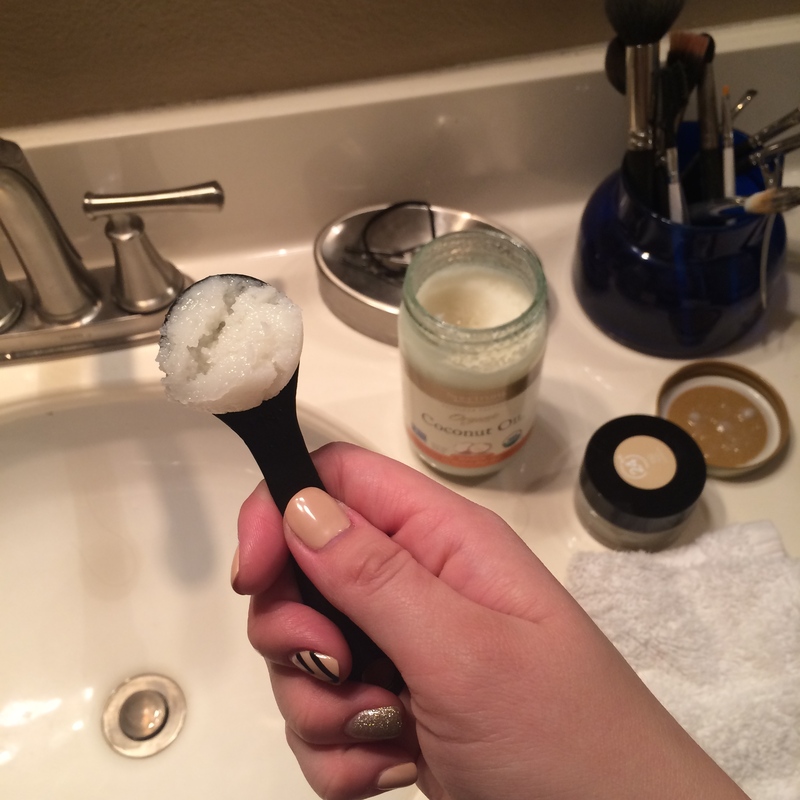 I love cure-alls and coconut oil seems to be more and more a very practical cure-all. I don’t know why it happens that I go long stretches of time without writing.. I’m lying I know exactly why it happens; my routine gets interrupted. I am a VERY routine person. I like to go to bed at the same time every night, and wake up at the same time every morning. If I can’t workout first thing in the morning then I don’t want to do it. I have to admit it is a curse more than a blessing. Don’t get me wrong the thought of someone being routine sounds like they are very unexciting but I would like to think that I am somewhat exciting. Just because I like my sleep patterns to sync up and I like to hit the gym at the same time everyday doesn’t mean everything in my life is that way. I still do fun things. Anyway… The reason I have been away is because my routine got lost; my eye were bigger than my stomach and I had way more on my plate than I bargained for. I have finally taken care of my obligations and I have FINALLY learned how to say no. I try to always please people and say yes and put my feelings second but sometime last week I learned that “no” can sometimes be good. “No” can be a positive thing; not overloading my plate gives me more time for me and that is always a good thing. After 27 years I have learned that I have to respect myself enough to say “no.” Because after all my happiness and sanity matters just as much as the next person. I have always been so eager to take on extra tasks and did not even think about what that does to my life and my schedule. I almost feel like taking on tasks didn’t bear as much weight as it does now. I am getting older (soooo old) and I really need to refine my focus and time on things that really contribute to my life. With that being said, I am back. I look forward to sharing my adventures with you.